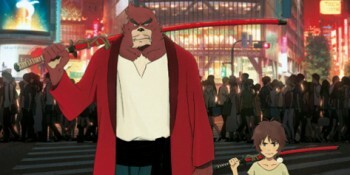 Within the great industry of animation Japanese also exists a small space for a more independent anime film, one of the most distinguished conductors and more recognition could say it’s director Mamoru Hosoda Summer Wars, The Girl Who leaped through Time or his latest film Wolf Children. A kind of film that departs from the conventional to surprise us with his very personal vision of the stories. Sometimes it is a little difficult to find interesting anime movies, especially when you’re a fan that has engulfed in industrial quantities.